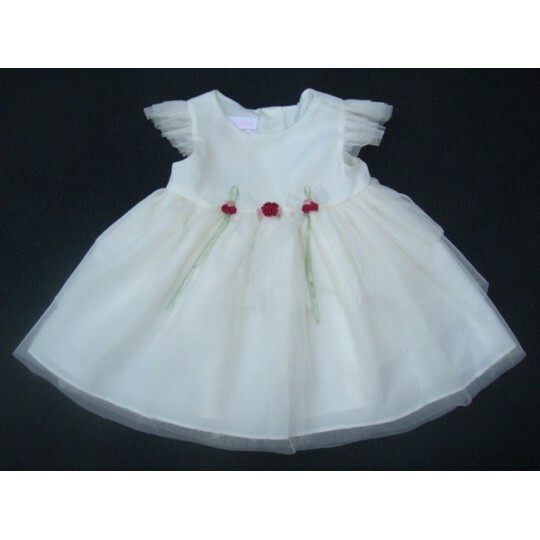 Fine embroidered girl white formal dress. 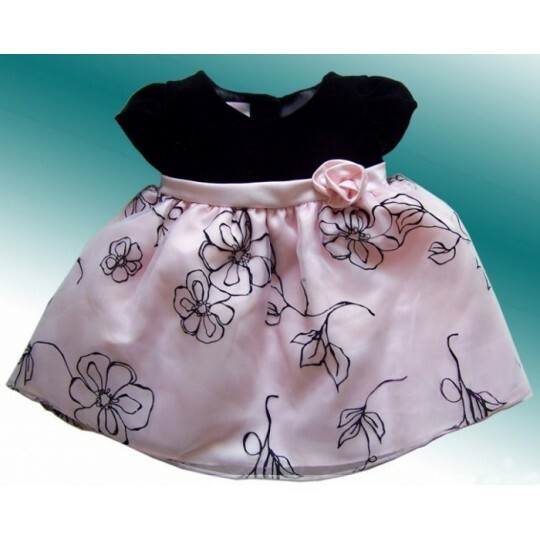 The bow on the back is detachable. 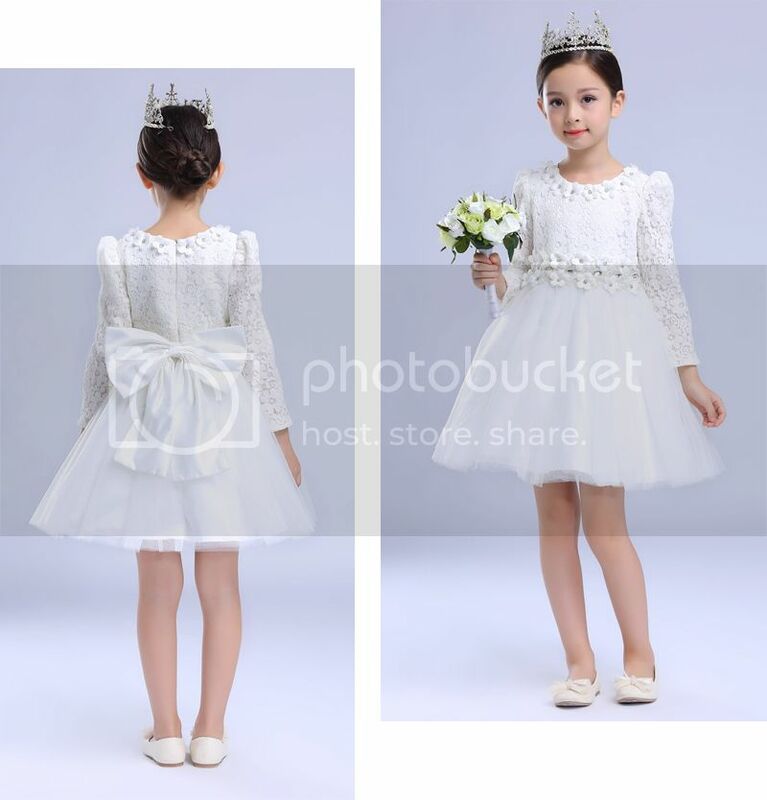 The tiara and the bouquet are not included. 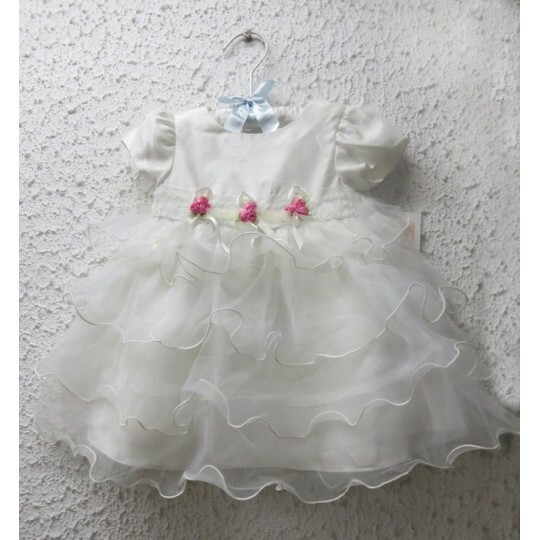 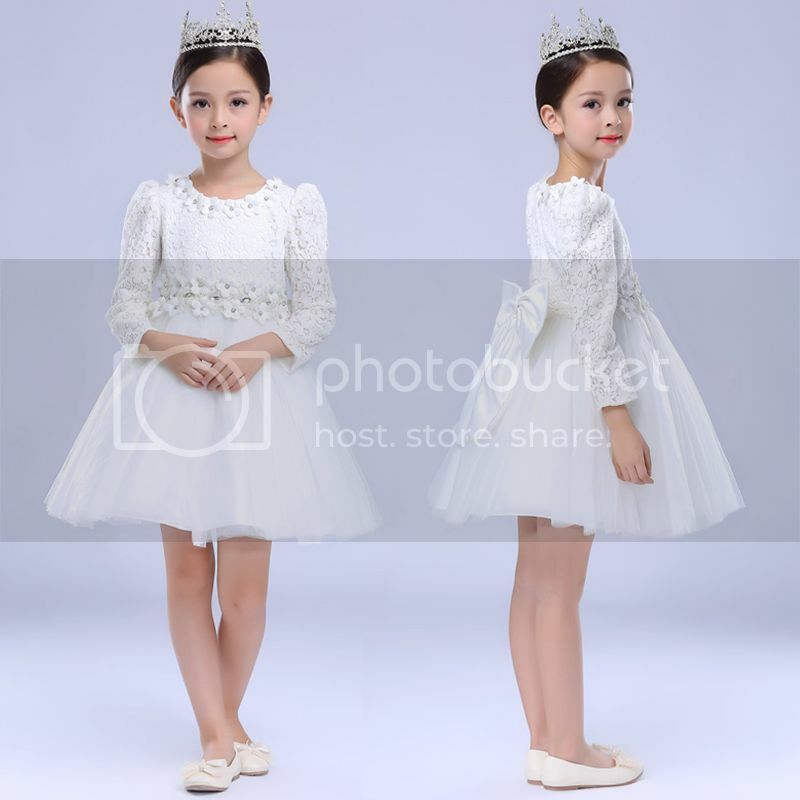 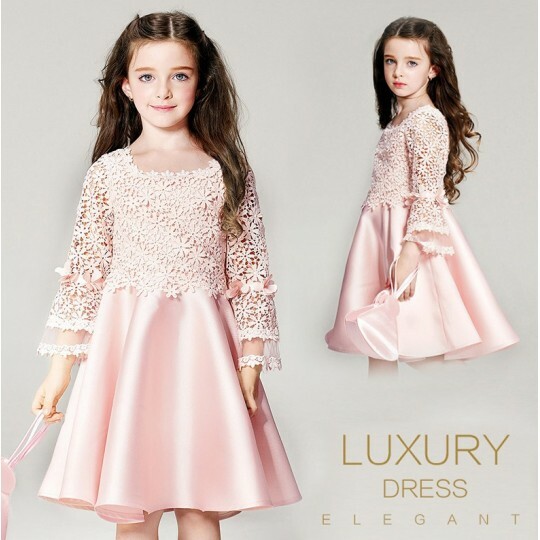 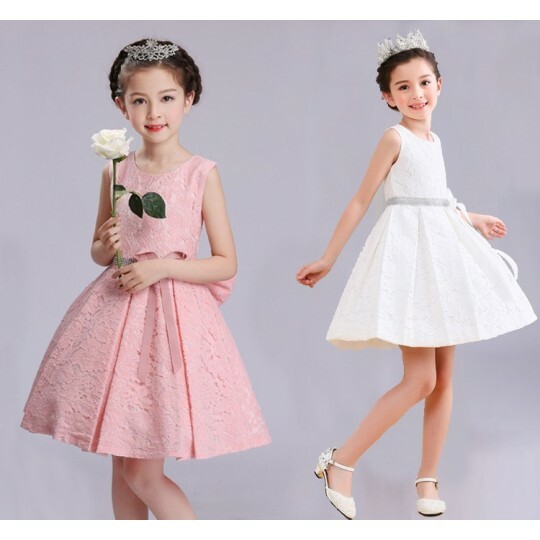 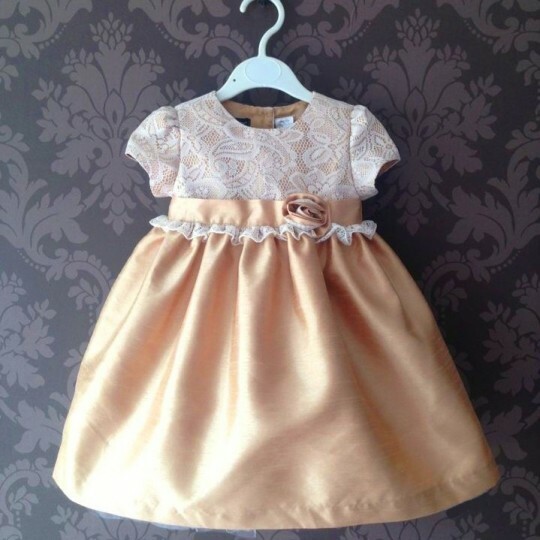 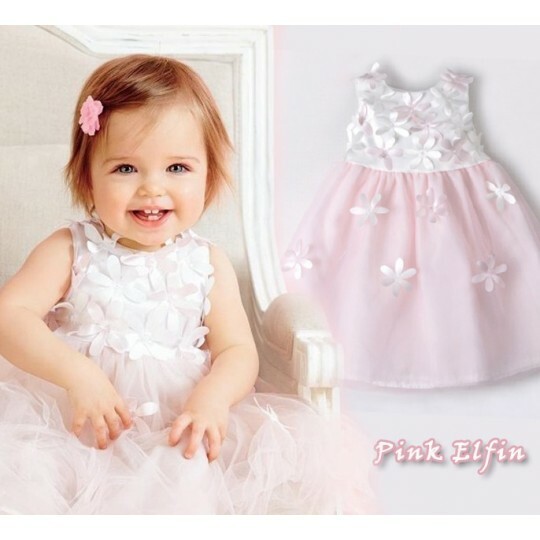 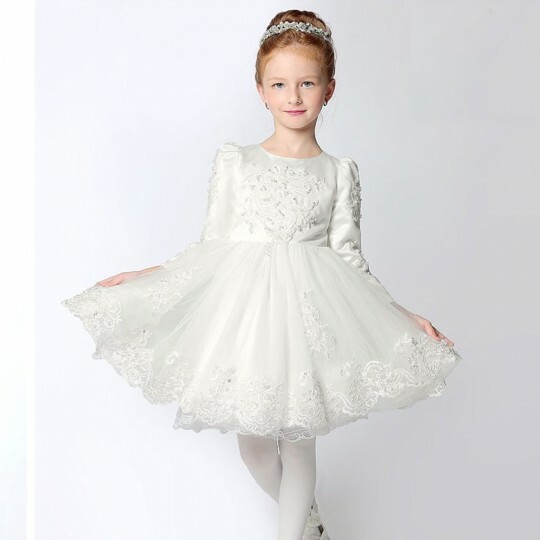 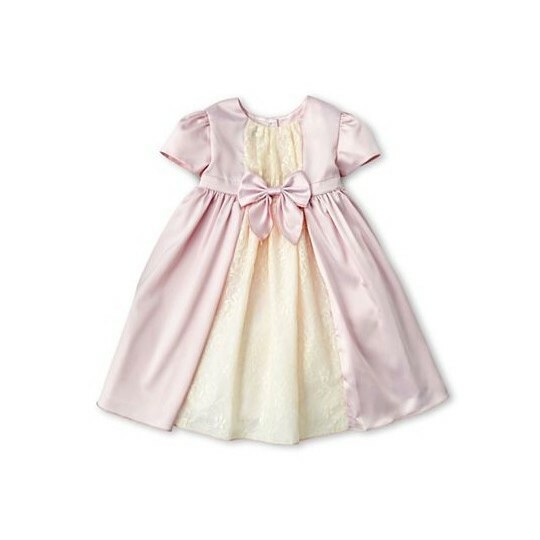 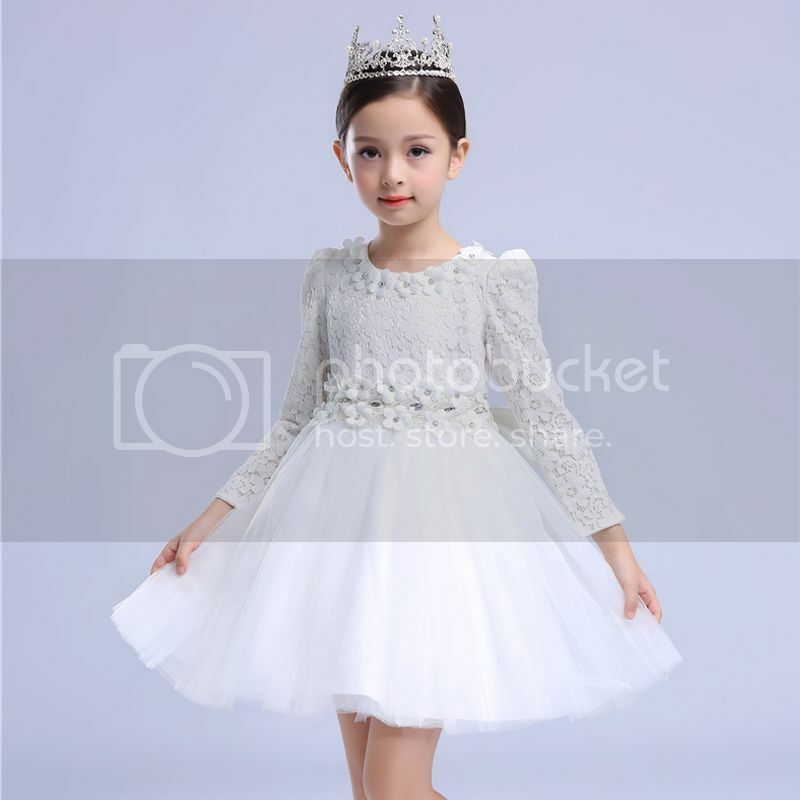 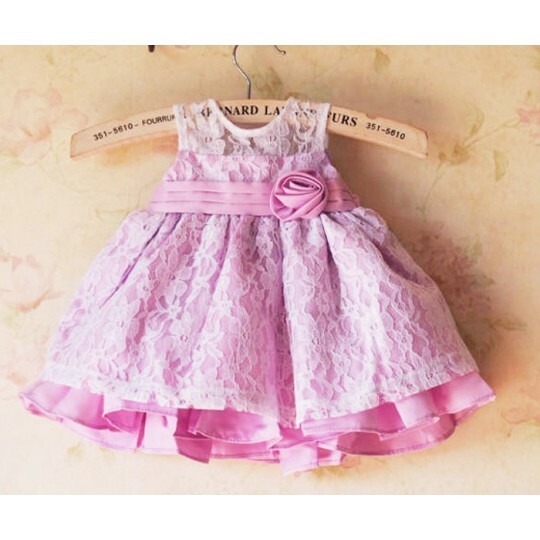 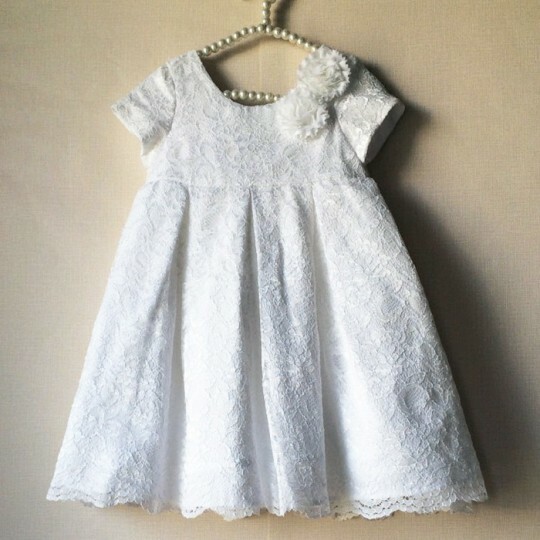 Elegant baby girl long sleeve dress, suitable for a ceremony or an important occasion.